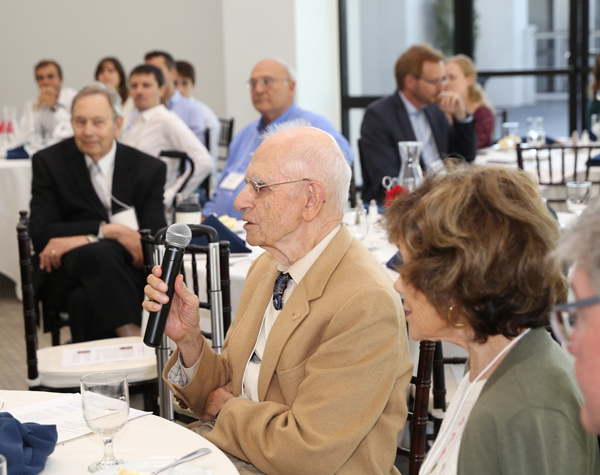 Nov. 21, 2018 - Current and incoming UC Irvine Balsells fellows gathered in early November for their annual lunch with benefactor Pete Balsells. 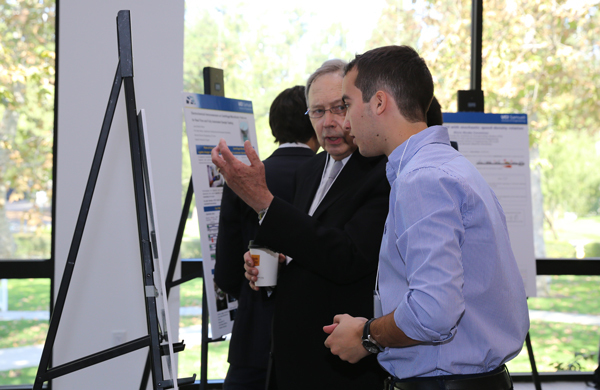 Samueli School Dean Gregory Washington and several faculty members also attended the event, at which 10 new fellows introduced themselves and eight current fellows displayed posters and gave presentations about their research. 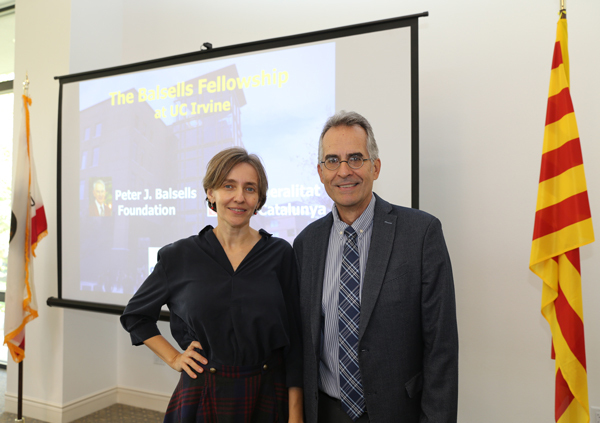 Rangel also was excited to welcome the guest speaker: Alba Perez Gracia, the first woman to receive the Balsells fellowship in 1997, the second year of the program. Perez Gracia studied industrial engineering at the Universitat Politècnica de Catalunya in Barcelona and did her master’s degree and doctorate in mechanical and aerospace engineering at UCI. After graduating, she moved to Idaho State University to work as an assistant professor in the Department of Mechanical Engineering. Today she is an associate professor and department chair. She teaches upper-division and graduate courses on kinematics, mechanical design, robotics and mechatronics at ISU. Her research activities focus mainly on robot kinematics. In 1996, Balsells endowed the Balsells-Generalitat Fellowship program at UCI. 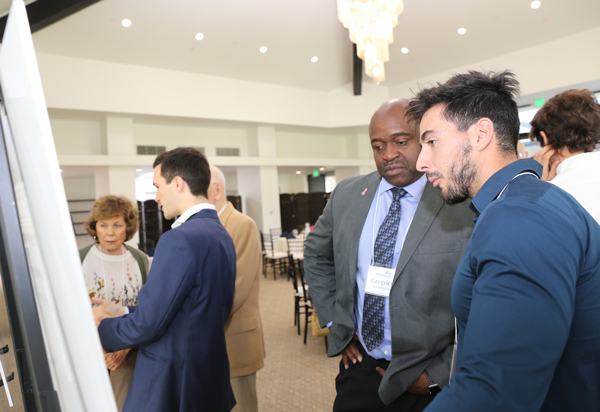 For the past 22 years, the prosperous engineer has been giving back through his Peter J. Balsells Foundation by helping to bring bright, young Catalonian engineering students to the U.S. to experience an opportunity similar to the one that changed his life. During that time, over 180 of Catalonia’s most talented students have come to UCI to pursue graduate studies and conduct engineering research at the Samueli School. This year’s additions include seven graduate fellows and three international mobility fellows in the departments of mechanical and aerospace engineering, biomedical engineering, electrical engineering and computer science, chemical and biomolecular engineering, engineering management and the Beckman Laser Institute.